Could You Endure Power Outage for 24 Hours? The challenge began at 5:00 p.m. on a Sunday evening and went through 5:00 p.m. the following Monday evening. Of course everyone got to still go on with their work and school lives on Monday, so on the surface this was actually a very simple challenge. But boy, howdy did we all learn a few things. The most common feedback comment I noticed was actually relevant to how bored the kids were. Kids of all ages were whining and complaining about the cruel treatment they had to endure. The nerve of their parents to not allow DVDs, texting, Facebook, or Wii when there was perfectly good electricity to be had. Unfortunately, where there’s boredom, there’s mischief. We had a couple of folks knock and run at our home that first night, with the culprits giggling as they ran. Other homeowners were surprised and even a bit frightened with people driving cars up into their backyards and flashing their high beams into the home. I’ve always talked about making sure that you take into consideration the comforts of life in your preparedness efforts, but remember that part of those comforts have to include activities that the younger members of your family can enjoy. Believe me, it’s no easy feat to go from high-tech entertainment then put on the breaks suddenly and switch to the more natural activities such as board games. (By the way, apparently Apples to Apples won hands down as the best game to play by candlelight. *grin*) So in order to prepare for a real power outage it’s important to actually take time to gear down with your family now and just enjoy some of the more simple forms of entertainment. The nice thing is that several families reported having quality time with their kids once they accepted the exercise—you know, with real conversations and eye contact! How would it be, eh? A lot of participants mentioned that they didn’t have enough wicks, easy access to the kerosene or other oil and they didn’t have a sufficient supply of D batteries. (By the way, did you know that you can purchase hundreds of feet of wick all at one time? You can find it on e-bay or just check out www.wickstore.com) One family specifically reported that their rechargeable batteries didn’t hold a charge anywhere near as long as the other batteries did. These little things will make a big difference when life gets challenging. I know that my grumpiness went away quickly once I had sufficient lighting. Some folks found that their spouse had no idea where the necessary supplies were stored. As such I suggest that it’s a valuable exercise to send family members on a treasure hunt some night and to go so far as to practice finding items in the dark. One of the other ideas shared was to have a glow stick attached to the cupboard and storage doors so that when there’s a power outage, not finding the flashlight right away doesn’t cause unnecessary stress. 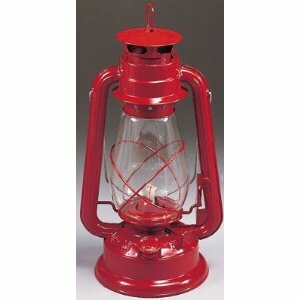 You might not be aware of this, but you can actually kill a few birds with one stone when you use kerosene lanterns. 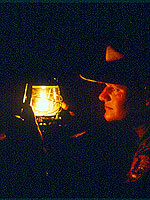 The light of a kerosene lantern puts out the same amount of light as a 60 watt bulb, and they also put out a great deal of heat, especially out the top. You can purchase cooking grids to go on top of your kerosene lamps and then put a good quality pan on top of that to boil water, make soup, or even to get a pressure cooker to full pressure. Now if you want to go really Boy Scout, you can simply turn a tomato guard upside down, bend down the tines so that it holds a pan level, and now you’re cookin’—literally. Obviously, with this kind of heat output from your kerosene lamp, you can also count on it to put out some great heat for your environmental control. By the way, did you know that you can burn your oils that have gone rancid for sources of lighting? Yup. So don’t feel too bad about that nasty canola oil garbage. At least you can burn it for light. Another set of tools that I believe is absolutely necessary for a lights out scenario is thick tarp sheeting and duct tape. You’ll be surprised at how much warmer you can make a room simply by hanging a thick tarp from the ceiling in front of doorways. You don’t have to seal all four sides to experience a noticeable difference in the warm temperatures. Here’s another wake up call—er, I mean an alarm. 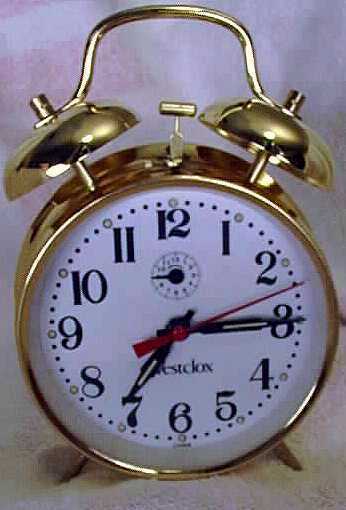 There’s value to having one of those “old fashioned” ticking clocks that runs simply on being wound up. You can use it as an alarm for shift changes, getting up to do your newfound chores, and checking on the logs in the fire. If there were an earthquake or other natural disaster, keep in mind that it will generate a great deal of breakage and disruption. All of the broken glass and other debris from your home is just waiting to cause a foot injury without proper protection. So make sure you’ve got your shoes or slippers handy. We had a lot of people who were either pleasantly surprised with just how well insulated their home is OR they just put renovations as a greater priority once they realized that they may end up having to heat their home—expensively with all of the poor insulation areas around the doorways, walls, and windows. For those who didn’t have woodburning stoves, they had a great deal of concern with ventilation on their only heating source. One of the heat solutions I suggest is The Little Buddy. You can run it on compressed butane which doesn’t require the same type of ventilation that most of your other heat sources do. And obviously, if you’re going to heat with these alternative sources, then you’ve got to have a carbon monoxide detector—battery operated of course. Be sure to put it down low in your home since carbon monoxide drops. For those of you who may not be ready just yet to start with this type of exercise, feel free to break it down into smaller bites such as just the lighting sources off, or just being able to cook on alternative, non- electrical sources, or even seeing if you can make it a week or two without purchasing ANY food or drink and only making do with what you’ve got on hand. I assure you that such exercises will be great experiences in terms of helping you become more aware where some of your vulnerabilities may be. It’s actually much easier mentally to prepare with exercises like this because instead of being thrown at you like a “gloom and doom” it’s simply a more matter of fact, non-emotional issue. So, the question is, are you going to try a little exercise to discover where your black holes might be? Come on. You know you want to. Everybody’s doing it. I dare you. I double dog dare you. *grin* At the very least you can learn a couple of tidbits from everyone in my neighborhood who did the exercise and benefit. 24 Hours? I wouldn't even need to pull out my solar charger in that short span of time. My issue is apartment leases that don't allow flamables in my place ruling out kerosene, also the no modifications that keep me from just sealing up all the leaks, last time we had a power outage it got cold fast. Do you have any recommendations for safely storing propane and kerosene containers? Your local fire department would actually be the best resource for that question because they are familiar with your area. Great exercise to try sometime. My question is about your comment on CO and where to place your detector. I had always thought CO was slightly lighter in air, especially when still warm after combustion. I suggest you look at a few more sites and even more importantly the manufacturer's instructions. The Carbon monoxide detectors should definitely be put low in the home. FirstAlert and Kidde make no specific recommendation as to height on the wall to mount a plain CO detector. The combonation CO and smoke alarms should be center ceiling mounted. Every manufacturer recommends at least one detector on every level in the home. My CO detector is low mounted in the bedroom because it's an AC plugin with battery backup. Actually, it was a FirstAlert executive that shared that information with me in the first place during an interview. Your saying that it's not on their instructions though? Hmmm.. Some years ago, we went without power for five days. For my family, it was no big deal. I still had my gas cook top, match required. It did get cold in the house and that's when I bought a Little Buddy. My oldest son is in the military and stationed in Connecticut, he experienced the hurricane earlier this year, but was fortune it enough to not get caught up in the power outage. At church that fifth Sunday, discussion turned to being prepared, Someone mentioned that "An Emergency is when your NOT prepared and It's just an inconvenience when you are." That statement is so true. Good article, tonight the wind is really blowing and we are getting our first real taste of winter. I thought of the power going off- before I read this. And tried to remember where my flashlight is. Yikes. It's easy to get lazy over the summer. However last summer when we went camping with grandchildren, I pulled out the glow sticks I got at the dollar store, it was great, entertained the kids and we could wee where they were in camp, also after they went to bed we put them on the posts in camp so we wouldn't bump into them in the dark. In the morning I put them in the icwe chest and they had enough glow to use again the second night. I'm going to keep them in the camping gear from now in. Also tape a couple around the house to use in a snap while I find that missing flashlight! Radio shack had some LED lights sold in a 4 pack I picked up 4 packs on sale for about $5.00. I think they where supposed to be cheap under cabinet lighting. I placed them in each room so even in the dark I should be able to get at one of them. I bought them 2-3 years ago and the battery is still going. I keep a very nice LED flashlight bedside and has a good battery life. For a bit more light I have kerosene lanterns and hurricane lamps. I avoided the oil lamps because of the cost of fuel. No longer if I can use up that canola oil I'll be happy. I'm working on solar lights now, not for tasks but just giving me enough light not to stumble around. This is such an informative post! You bring such insight to the topic and it's so timely. I am really loving you site here! I off to read some more of your stuff! "Other homeowners were surprised and even a bit frightened with people driving cars up into their backyards and flashing their high beams into the home." That's the Sentinel. We use Solar to charge ours. Keep the generator. Don't sell it. The Humless Sentinels are very nice but they will not run large loads like large power tools (table saws; welders; milling machines) or anything that requires more than 1000 watts. Remember, 2 is 1 and 1 is none. Generators have a very high failure rate. You may need it. Actually, with a bank of 3 to 4, the Humless will do that, however, that's quite a ways out there in terms of "preparedness." If I don't want a generator that makes noise and paints me as a target, I sure as heck don't want to be using power tools. :-) Each Sentinel has 1000 watts continuous' 2000 peak. Sorry Kellene - the Sentinel's are simply not designed to handle large loads. You would fry the inverter or at least blow the fuses. The Sentinels are not designed to handle 240 volt loads and they only have 600 watt hours of battery capacity. If your load draws more than 9 amps on a 110 volt single phase circuit, it is too big for the Sentinel. The 2000 watt peak is only for the very brief fraction of a second spikes that some motors have when turned on (e.g. compressors in refrigerators or freezers). Likewise, the Sentinels are not additive in their capacity like Exeltech MX series rackmount inverters that can be hot swapped. Doc, I'm not fluent in the techno speak when it comes to electronics--unfortunately. And unlike other foreign languages, I don't seem to be picking up on it very well. However, in spite of that, I am confident in the information that I do share about the Humless generators. You may not know this but I've been majorly anti-generator until the Humless version hit the market. Being the kind of girl who says "go big or go home" it wasn't enough just to read their stuff on the internet and packaging, I actually go in and interview executives of companies when I'm doing homework. I hit it off great with the Humless folks right off the bat and as such have been receiving my information via first hand demonstrations and meetings on a consistent basis. (Yes, I guess this makes me a preparedness geek. ) I've seen what a bank of the Sentinels can do; seen how the Humless models are easily adapted to be used out in the middle of a tiny village in South Africa-- with nothing around for miles and miles--in order to pump water, provide moderate amounts of electricity to the village, etc. Having said that, everything you say is accurate except for the last sentence. Humless has thoroughly tested the use of a bank of their Sentinels. In fact, they are presently working under contract with several humanitarian groups using the bank protocol in 3rd world nations to the essential needs there such as water pumping, medical devices, etc. When it comes to power tools as you were describing earlier, I don't think any generator is the answer because as I said previously, I wouldn't be using massive power tools if I'm having to live off of my Humless because I certainly would not want to draw that kind of attention to myself. I don't think anyone should look at a Humless generator as substitute for their traditional power supply. I would use primarily solar and wind generation of power for that kind of scenario--getting of the grid, so to speak. Doc, I just spoke with the head of marketing who just got back from China making some modifications on the unit. You won't be able to bank the units together for now. They are changing the design, so you're right. I'm still working on alternative lighting, but in terms of off-grid stuff to do during a power outage, I have well over a thousand books for both adults and kids. I don't have a TV and don't want one! Our worst power outage was during the Winter blizzard of 2010 with about 4 feet of snow. No electricity for 4 and 1/2 days. We were fine. We have a wood stove for heat, propane oven and range, and are prepared with lanterns (oil, kerosene, solar) and candles. We ate as we normally do using the propane range. Our generator ran to keep the freezer and refrigerator running. We had enough fuel for a few weeks so no food loss. We scooped snow for our water and were able to heat the water on the wood stove. Snow water allowed us the use of the toilets. Water was boiled for our drip coffee maker (as opposed to the electric percs or drips most people own). Everyone should attempt at least a 24-hour off-grid situation to understand what it means. Anyone who has difficulty without being "entertained" by passive electronics has a serious problem, imo, and no amount of off-grid will help until they realize their addiction. Personally, I love the total quiet after a snowstorm. If you bought the Humless Sentinel with the solar module, you qualify for the 30% Solar Tax Credit (plus depreciation if you run a Schedule C relating to your work for Preparedness Pro). I also have one of the Humless Sentinel with the solar module. I will be buying several more solar modules to give more off-grid generating capacity. This is with out a doubt the #1 new preparedness item of 2011. We will be using ours on Thanksgiving morning to grind corn and wheat for our muffins and stuffing. Just keep your Sentinel in a Faraday cage to protect it against EMP. If you have any Dewalt powertools, get one of the 12 volt car chargers for your batteries - then you can use the 12 volt DC capabilities of the Sentinel to charge your Dewalt tools (I've got a bunch of the 18 volt tools). Also, get one or more of the 12 volt fans. Finally, get one of the 12 volt utility pumps so you can easily pump water using your Sentinel (55 gallon drums are much easier to fill/drain using an electric pump than manual ones). Sounds like MY kind of Thanksgiving dinner. I believe Humless have Faraday Cages in the work soon. I'm using Thursday morning as an opportunity to teach our kids and some of their friends about both solar and grinding their own flour and corn meal. Faraday cages are easy to build. I have several made from military ammo cans but they are too small for the Sentinels. I made a Faraday Cage out of a UWS aluminum footlocker / toolbox. 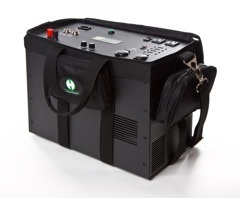 Humless should package a sentinel with two solar modules and a small 12 volt refrigerator (like the Engel ones) for medical applications and for diabetics. It could literally keep diabetics alive in some of the nightmare scenarios. I've got one of the Engle combo fridge/freezer 12 volt DC power systems - another great product that pairs nicely with a Sentinel. No one in our family is diabetic but we have neighbors who are. We use ours for camping. As for the tax credit, why pay a penny more to the thieves in Washington than you have to pay? While I agree that all of the renewable energy tax credits are mostly corporate welfare that should be cut, it is currently the law. Plus, for businesses (including sole proprietors using a Schedule C), you can carryforward losses and tax credits for over a decade. We've had to do it a couple of times. The first time was a nightmare, which led to better preparations.. Icy weather will be upon us soon, so this article is perfectly timed to help folks get their houses (and preps) in order. Thanks so much for the post. First, thank you, Kellene, for recommending Stephen Flynn’s ‘The Edge of Disaster”, which I just finished reading. In my opinion, both he and Erwin Redlener are ‘spot on’ regarding our nation’s failing infrastructures. I wanted to take this opportunity to share with your readers our very positive experience with an ‘off-grid’ lighting system, which is now standard equipment in our home. Actually, the ‘system’ is simply a collection of Westinghouse Model# 371172-08W solar-powered flood lights. These powerful 3-LED units are sold, (by Wal Mart, for one) as exterior house accent floodlights, but can easily be adapted as interior emergency lighting fixtures. 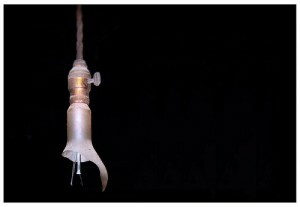 With a little imagination and minor carpentry work, they can be configured as wall sconces, desk lamps, and can even mounted on existing candle-type ceiling chandeliers. We found the units’ strong beams to be more than sufficient for normal household functions, such as cooking, eating, and reading. (Two units, mounted on either side of the bathroom’s vanity mirror, keep my wife happy!) Although the units are equipped with easily accessible on/off switches, a fully charged unit will provide continuous bright illumination throughout the night, even after having been stored for four months, (and possibly longer – we’re still testing!) To recharge the units, we simply stick them out on a removable rack, attached to an exterior deck railing. After 6-8 hours exposure to full sunlight, they are again ready for immediate use, or for storage until subsequently needed. We found that a quantity of twenty lamps were more than sufficient to safely illuminate a three story home. I agree with you that the lighting itself is great for indoors and they are easily adaptable to stand firmly, safely, while providing plenty of light. One cool tip a buddy of mine figured out during our stint with no power from Hurricane Irene was that his computer battery back-up allowed him to run his gas instant hot water heater long enough for his family of 4 to shower. He would then bring his back-up to work and charge it. A hot shower goes along way towards helping you get through a crisis. I picked up that same kerosine lantern at wal-mart for only $5.88 I didn't know about the attachment to cook on it. Do you know where to find it? you can use an upside down tomato plant cage (modified just a bit by making it shorter and bending the metal tines down so that you can hold a pan just above the kerosene lanter, or you can do a search for "kerosene lamp grill" or "kerosene lamp adapter" on Google and find it. I believe most people will be in agreement when I say that it would be ‘nice’ to have extra batteries around the house in the aftermath of a ‘what if’ scenario. But how do we know if we have a sufficient quantity of batteries, and of the right types? When my wife and I addressed the aforementioned issues, we decided that the first thing we should do is walk around the house, jotting down the quantity and types of batteries used in every conceivable battery-dependent device from flashlights, alarm clocks, and radios, to Junior’s remote-control toy Corvette and Granny’s electronic nose hair plucker. During our tour, we also accounted for the types of lamps installed in the various flashlights. Once the list was in MS Word format, we then copied and pasted the number of batteries and lamps that we’d need (for preparedness-related items, only) into our “Rip n’ Run List", (a document we use for last minute purchases.) The actual number of batteries and lamps to be purchased was, of course, based on the 2 =1, and 1=0 concept. Why the detail and comprehensive inventory? For starters, when ‘the balloon goes up’, you’ll already have a prepared battery and lamp ‘shopping list’, while others will still be scratching their heads. Believe me, in a highly competitive, (read: “panicky”) retail store shopping environment, (typical of looming or actually occurring disasters) you may need every ‘slight edge’ you can muster in order to procure those ‘last minute’ items! 24 hours? no problem. In January of 2007 we lost power for 17 days during an ice storm. It was rough but not that hard. The hardest part was keeping all the livestock fed and watered. Most of our cattle don't have ponds in their fields and depend on waterers that run from wells...with electric pumps. So we had to have 7 generators going (5 for well houses) and the other 2 for deep freezers that have all our meat for the entire year in them. We burn wood and have a large 2 door cast iron stove in our living room, so I cooked on that. We have a natural spring bucket well in our yard (hadn't used it since the 1970's but it still worked.) People came from all around to get water. We cooked with it and used it to wash up/flush the toilet. And truthfully after doing all the chores we were so tired at night we were going to bed at 7 so we didn't get a chance to get bored. I did read some by a kerosene lamp. We had kerosene lamps under the house to keep the pipes from freezing - kerosene became scarce by the 2nd week and expensive so we had to ration it. We didn't use all of the house, I hung blankets in the doorways and in the windows to keep the heat in. It was a learning experience that is for sure - especially for a couple of newly weds! We had only been married for 6 months. I was 21 and hubby was 22, but we did just fine. I have kerosine lanterns but hadnt realized that extra wick would ever be an issue. How much wick and fuel would you suggest to have on hand per lantern? You're going to have to do a trial run for your particular lantern to see how long it goes. Each one does very differently. 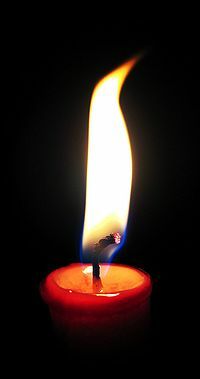 Also, the thicker/heavier the wick, the longer it burns. This past summer I went four days without power. I realize it was summertime, so cold was not an issue, but I learned several things. First, I didn't lose all the food in my freezer because I put a blanket over it to keep it cold. Plus, I keep it completely full so each item acted as an insulator to the item next to it. Since my water heater was in the middle of the house (and it was summer), i had hot water for the first two days, pretty warm water on the third day and lukewarm water for the fourth day. I cooked outside over the fire pit to keep the house from heating up. I also heated the water outside at the same time I was cooking to wash dishes and the load of clothes I had to wash. I simply took the grate out of the oven and braced it over the charcoal to have a surface large enough to heat all the pans at once. I also placed a rubbermaid tub half full of water in direct sunlight to get more hot water. There were lots of other ways that I "made do" while I was without power. I found that the "only" thing that I was worried about was if it had been cold, I don't have a sufficient way of keeping my house warm.I plan to remedy that as soon as possible. I am no where near where I want to be with my preparedness, but found that I am further than I thought. I live in an area with lots of trees and we used to get outages three or four times every year, summer and winter. Rarely did it last more than a few hours, although there were times when it went for a day, and four was the most we were ever without. We had plenty of resources to ride it out, and, before we bought a generator and installed a a transfer switch, we actually enjoyed the time without power. So much so, that the kids would ASK for a "lights out night". We were without power for 15 days after hurricane Ike in Houston. We got along just fine, but I never saw so many helpless people in my life! We had several days warning, but there were still folks who didn't understand that if there's no power there's no Starbucks or McDonald's. You would think they would at least have gotten a jar of peanut butter and a loaf of bread, along with some bottled water. Instead, they cried and complained and lined up for free food and water from charity groups and FEMA. When did our citizens turn into helpless wimps? What happened to independence and selfreliance? After witnessing these people, I vowed that it would never happen to me or my family. We should be prepared for whatever life hands us. I think it is time for another practice day for those of us who did not have blizzard related power outages.